Mars in Aquarius is in a fixed air sign and takes on the qualities of its ruler, Saturn. This is someone whose strength is in their detachment from themselves, their lack of self-regard, implacability and indifference. They’re willing to endure pain as long as it hurts you too, like a warrior robot, a Terminator. How do you fight someone who doesn’t care if you hurt them? 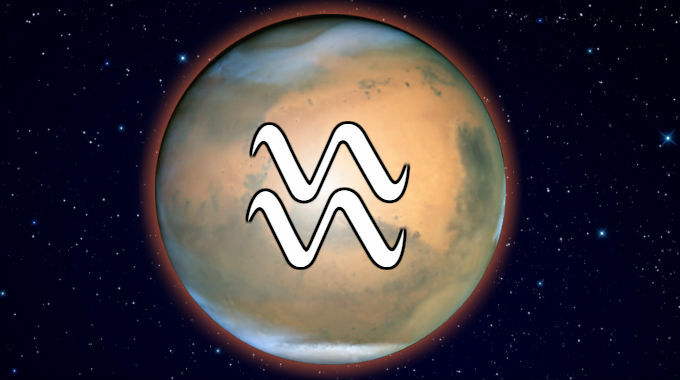 With Mars in Aquarius, this is someone who is provoked by limitations on their authority and independence and do not yield until the other party meets the demand or otherwise resolves the conflict. In conflicts, there can be a tendency to treat everyone the same way regardless of how close or unfamiliar they are. This is especially true if you were born with Aries, Scorpio or Aquarius rising. Whether you experience the better or worse significations of this position depends on whether you were born during the day or at night, and the kind of aspects it makes with the other planets.